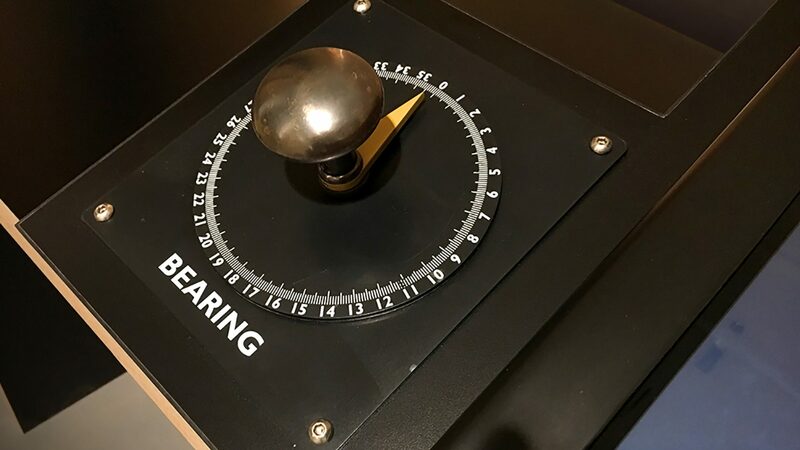 Visitors can enjoy a simulated hands-on experience of using early radar for detection, distance measurement and angle measurement with this new interactive exhibit. In 1937, RAF Bawdsey became the first fully operational Radar station in the world, just eighteen months after it had first been established that approaching aircraft could be detected using transmitted radio waves. 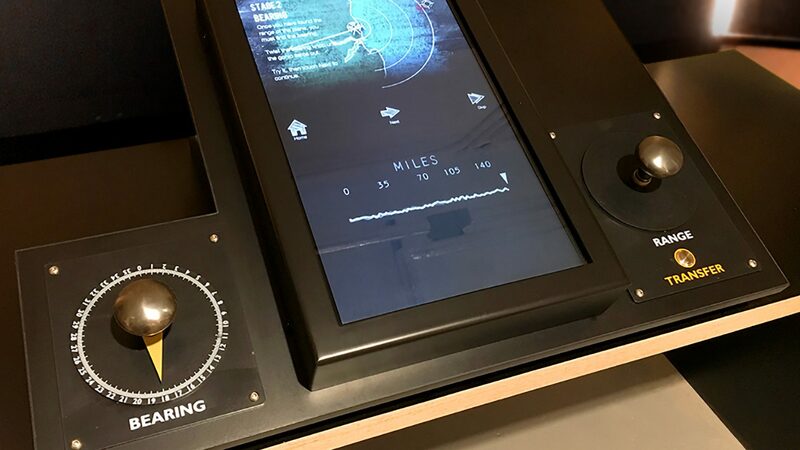 We’re delighted to have supported specialist heritage designers, PLB and the Trust on a new interactive exhibit which gives visitors a simulated hands-on experience of using early radar for detection, distance measurement and angle measurement. 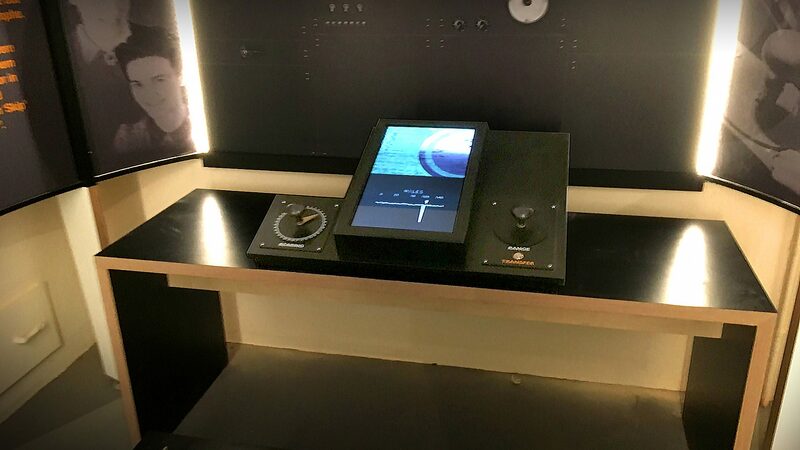 The interactive exhibit replicates the original methods used in the Chain Home, the ring of coastal Early Warning radar stations built by the Royal Air Force before and during the Second World War to detect and track aircraft. The ‘Gonio’ interactive is faithful to the Chain Home method where equipment produces a pulse of energy and measures the time of flight from transmission to reception. The objective of the interactive is to enable visitors to understand the process used to determine the trajectory of aircraft. As well as the skill involved in producing accurate results. It replicates original complex early radar systems and simplifies the principles so that anyone can understand and have a go at using this radar system. The activity takes place at a radar operator’s desk housed within the hugely atmospheric restored blast-proofed bunker where the visitor is first trained and then challenged to test their skills in determining the trajectory of aircraft using the Chain Home method. The desk includes a bespoke physical interface created by Wide Sky Design, incorporating a goniometer dial – used to determine bearing; a range dial – used to determine distance; and a transfer button used to transfer data to an operations room. A portrait mounted touch screen recreates the original cathode ray tube display that would have been used, and also displays a diagrammatic representation of the effect in the real world of the visitor’s inputs. The visitor can manipulate the range and angle dials in relation to a signal shown on-screen to determine the range and bearing of an aircraft over time and therefore discover its trajectory. These readings are then ‘transferred’ to a computer to enable a comparison of how the visitor’s readings match ‘true’ range and angle information, and therefore how successfully they determined the trajectory of the aircraft. The interactive includes a number of challenge levels, allowing visitors to test their skills against increasing levels of difficulty including multiple simultaneous aircraft travelling in different trajectories demonstrating just how difficult an operators task was. The interactive also incorporates audio SFX and soundscapes designed to immerse visitors in the dynamic environment of Bawdsey in its heyday, recreating the ‘buzz’ of multiple gonio operatives working together against the clock to transfer vital data to an operations room tracking and directing aircraft operations.